Taekwon-Do practitioners from around the world come together to train and learn under the guidance of world-class instructors in the family-friendly atmosphere of Unified Taekwon-Do’s annual Training Camp. 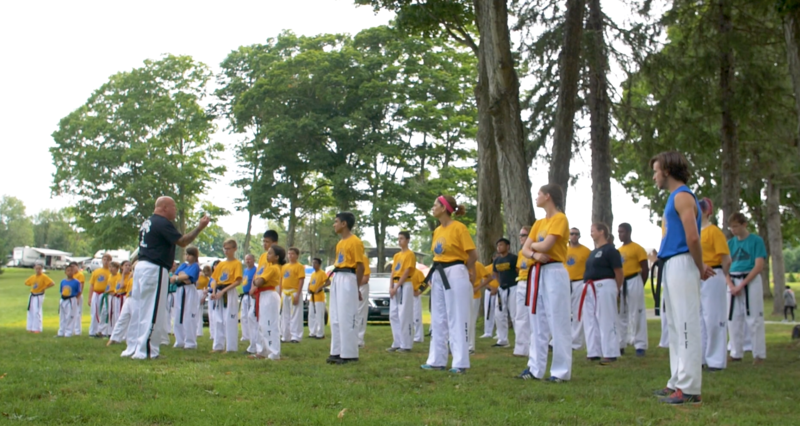 Camp is a multi-day training opportunity for Taekwon-Do practitioners everywhere. Each day is filled with over 8 hours of training and activities covering topics such as: Taekwon-Do basic exercises, tuls, one-steps, free sparring, self-defense and more! 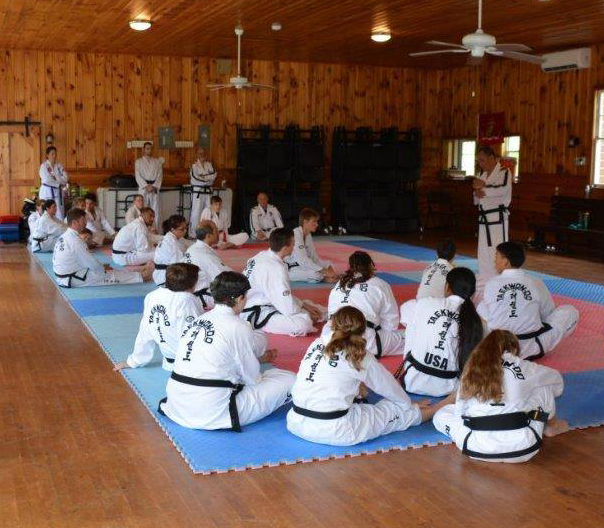 Campers receive training from a variety instructors, 3 meals and daily snacks, the use of campsite facilities, a traditional Korean BBQ, and an official camp t-shirt. What began as a small group of students training together nearly 50 years ago has grown into an internationally attended event! Registrations include training sessions, meals and snacks, a traditional Korean BBQ, and use of the campsite facilities including game room and pool. Campers can bring their own camping gear or rent a cabin. Prices subject to change. All packages include an official summer camp t-shirt. Wednesday evening thru Sunday midday. Friday evening thru Sunday midday. Includes all training sessions, meals and access to campsite amenities for days purchased. Includes all meals and access to campsite amenities. Cabins accommodate up to 6 guests and include a mix of double and bunk beds, a private bathroom, mini-fridge and AC. Cabins are rented on a first come first serve basis and must be booked through the Unified TKD event registration page. Do not contact the campground ground directly. Unified Taekwon-Do has introduced a need and merit based scholarship. If you or someone you know is a student or working toward a career in Taekwon-Do we encourage you to apply! We also welcome contributions from donors to support and expand the scholarship fund. Join us for another great year of training and memories. Camp will be held at Grand View Camping Resort located in Moodus (sometimes listed as East Haddam), Connecticut, USA. Facilities at the campsite include newly renovated cabins, indoor/outdoor training areas, a pool, game room, lounge and spectacular views! 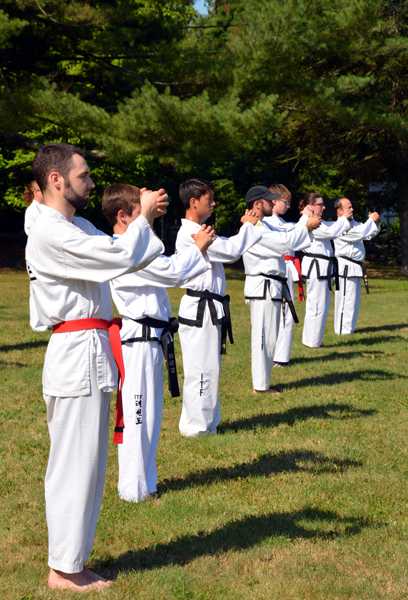 In addition to the traditional Taekwon-Do program, camp includes optional bonus training segments for campers (Note: some segments subject to age and rank restrictions). Classes include specialty breaking, jiu-jitsu, power breaking, yoga and more. 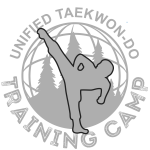 Unified TKD is an international Taekwon-Do organization dedicated to the preservation and teaching of Taekwon-Do as set out by founder, General Choi Hong Hi. Join our growing global community of talented and dedicated practitioners. Copyright 2018 © Unified Taekwon-Do, LLC.